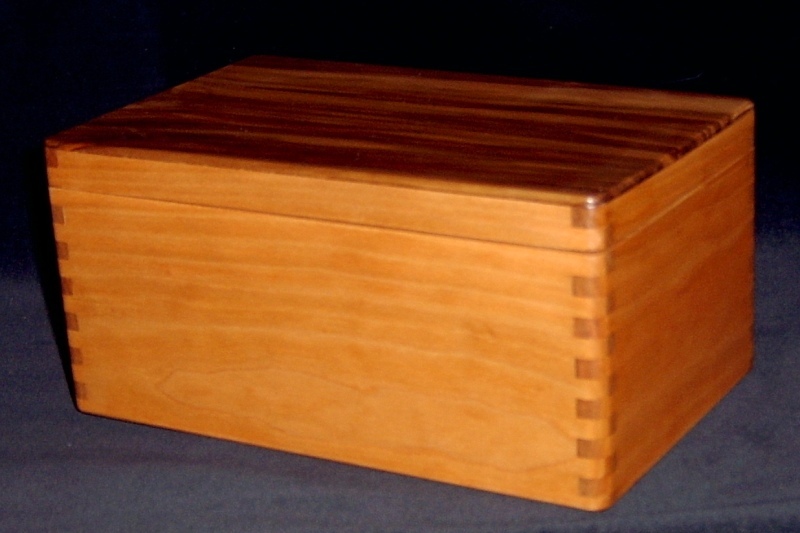 These nesting boxes are made from Cherry with Sweet Red Gum top panels.. The dimensions are approx. 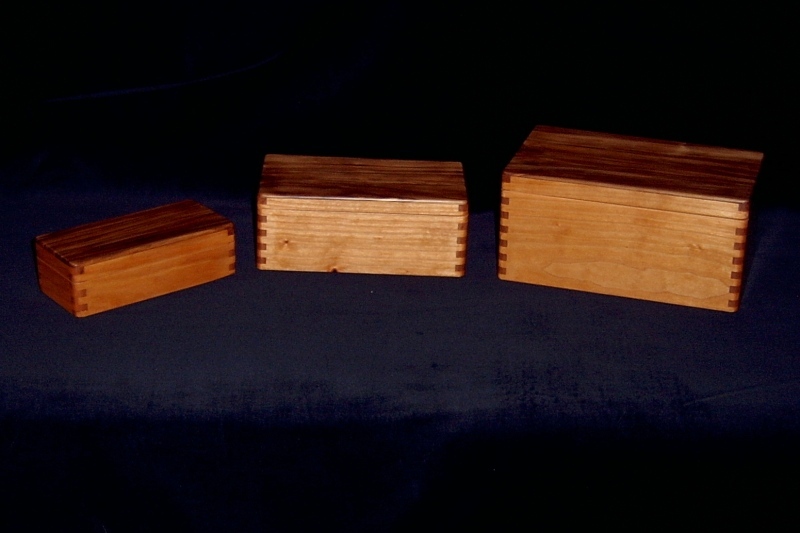 6"x3"x1 3/4", 7"x4"x2 3/4", and 8"x5"x3 3/4" tall. 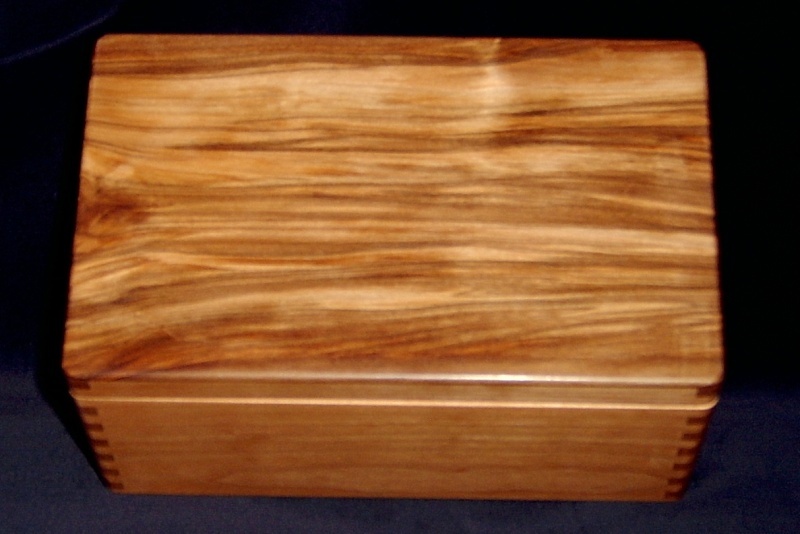 They are finished with a coat of drying oil, top coated with four coats of wipe on poly and buffed with a coat of Canuba wax. 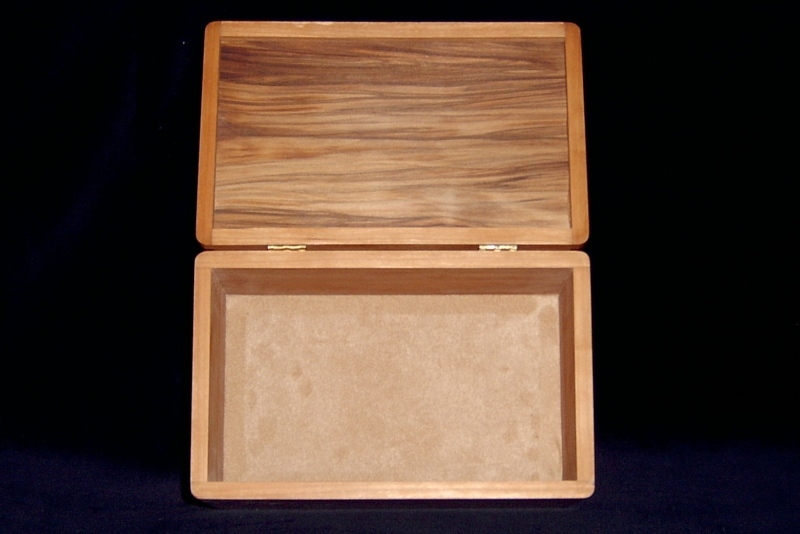 Hinges are a standard type attached to the back and the box opens to 180*. The liner is a synthetic suede and will not tarnish silver.